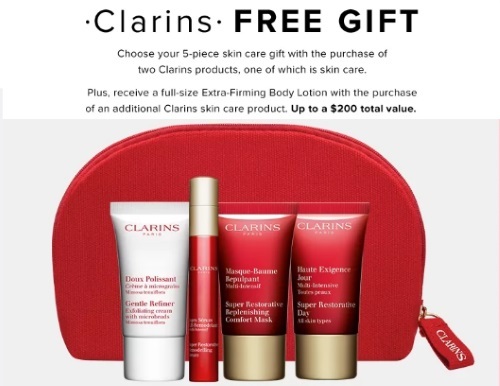 Hudson's Bay has a new Clarins Free Gift with Purchase! Choose your 5 piece skin care gift with the purchase of two Clarins products (one of which is skincare). Plus receive a full size Extra firming Body Lotion with the purchase of an additional Clarins skincare product (up to $200 total value). While quantities last, gift must be added to your shopping bag before checkout.